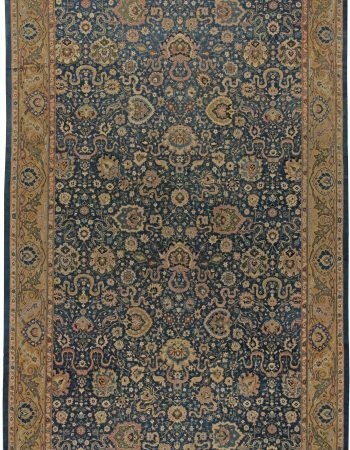 Tabriz rugs are perhaps the most famous of all Persian carpets. 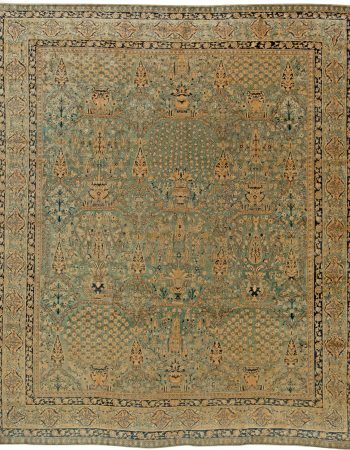 It is due to the extremely long existence of the renowned weaving center but also the awe-inspiring range of oriental designs and refined workmanship. 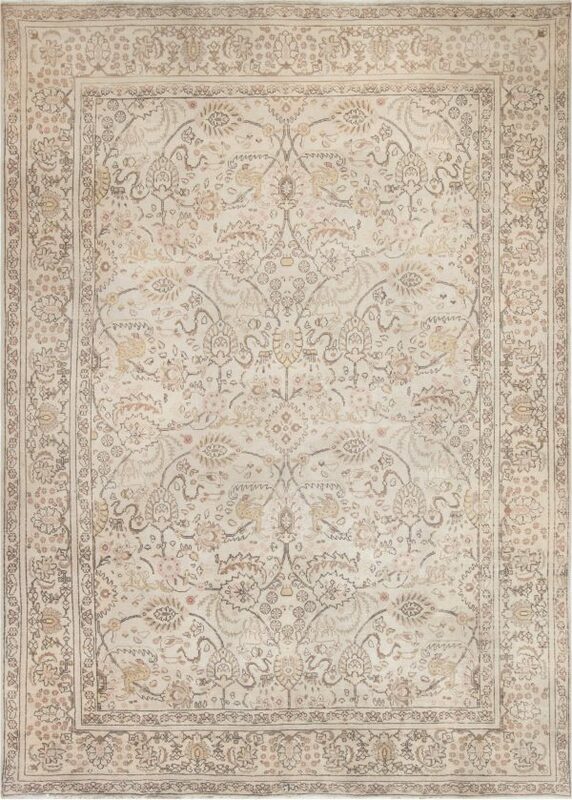 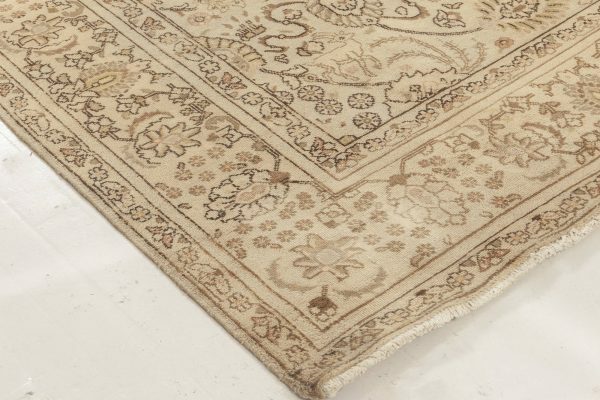 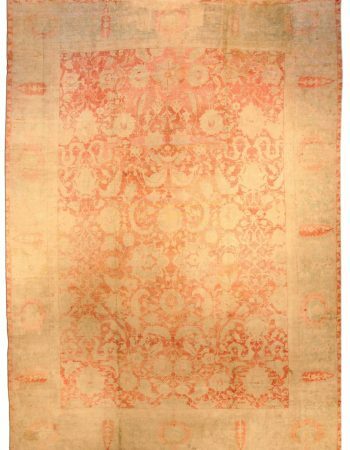 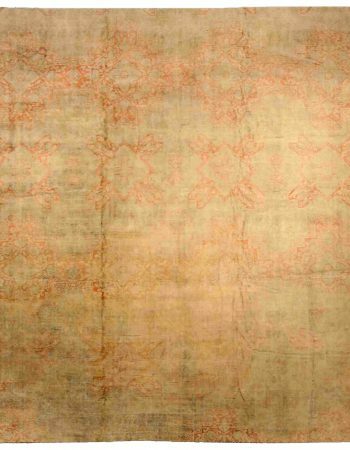 This antique Persian Tabriz rug is an absolutely enchanting and classy example of its town’s craft. 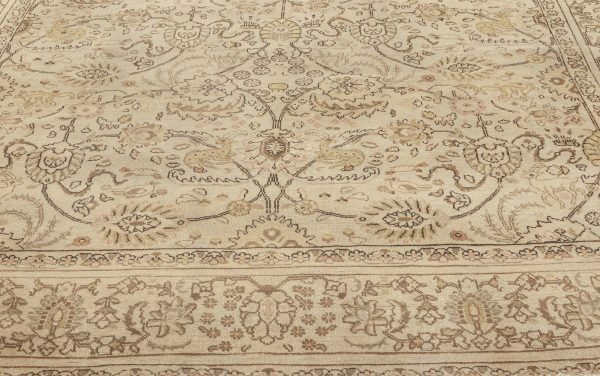 The main field carries an allover pattern of connecting vines, palmettes and florals. 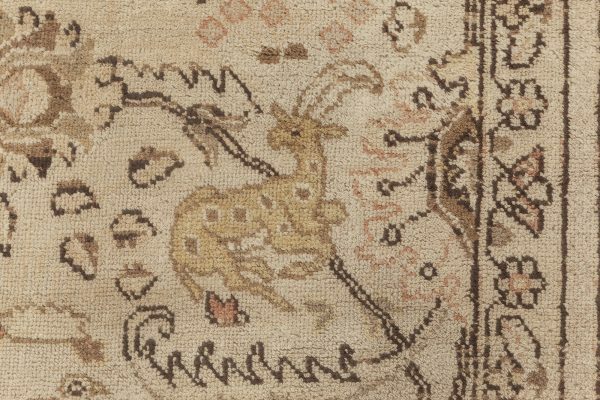 There is a surprise and reward for every attentive looker – detailed and graceful animal motifs, including deer, foxes, birds and goats, are hiding in the thicket. 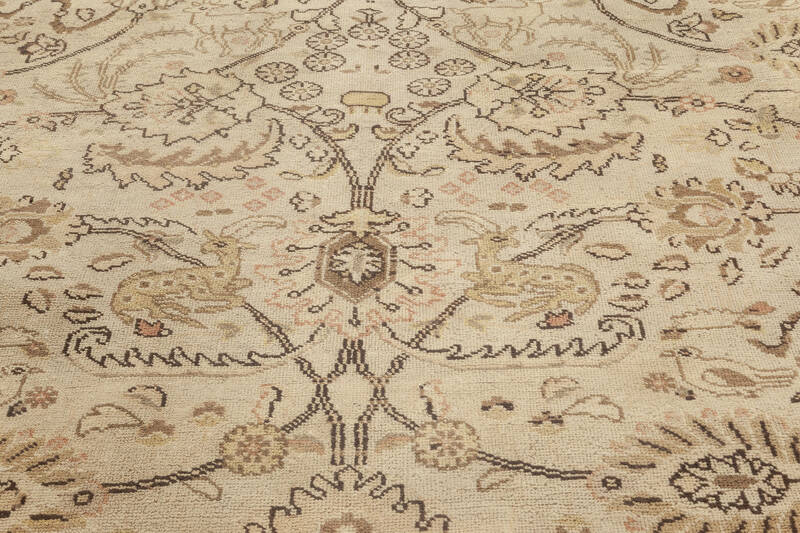 Everything embraced by a series of borders, kept in the spirit of the main design, forms a truly magnificent and enchanting composition. 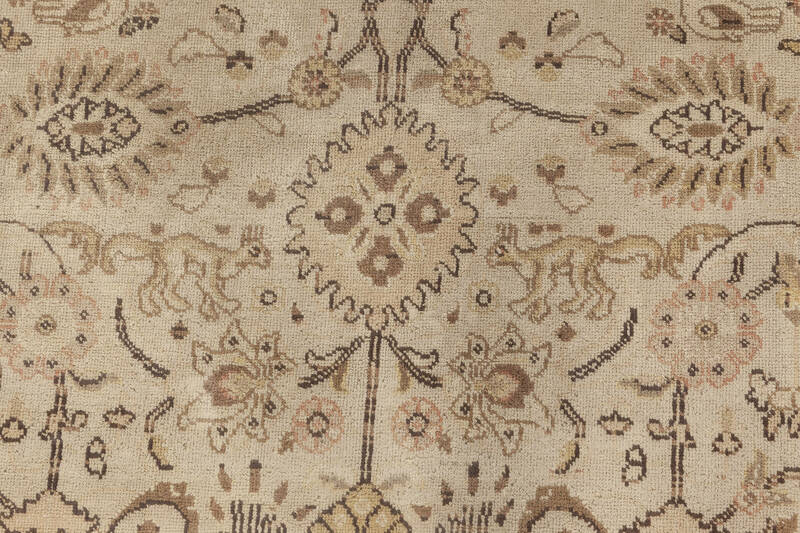 The final touch is the gentle color palette of soft beiges and light browns in which the design in fully rendered. 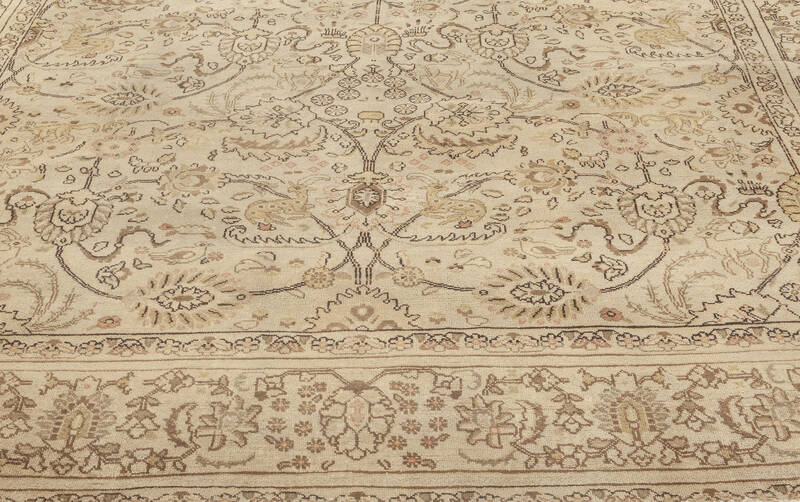 In addition to its smashing appearance, the carpet can boast of impeccable workmanship. 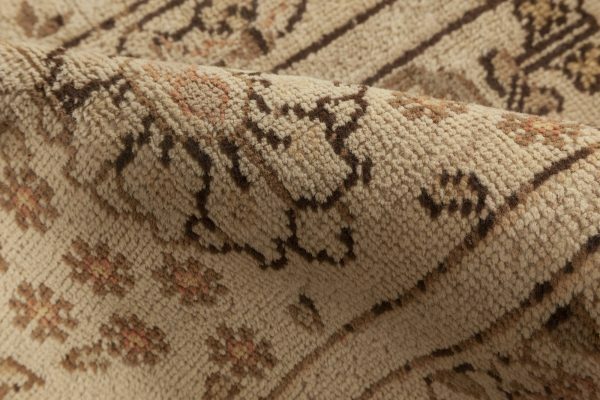 Thoroughly hand-knotted of wool in accordance with centuries-old techniques, it has managed to survive until this day without any signs of wear. 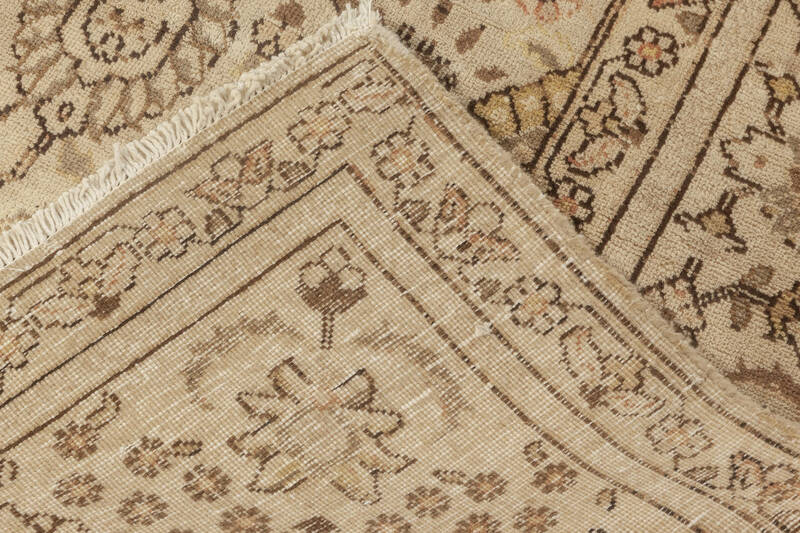 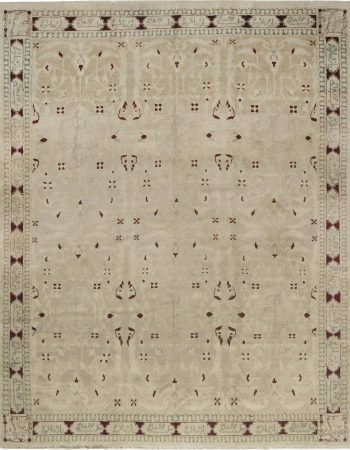 If maintained properly, this Oriental rug is going to withstand years of usage, bringing in the recherché charm of Persian artistry.